STOWA offers twenty–four–seven qualified assistance, regarding all kinds of questions. Our team's welcome daily business is to help you out concerning new purchases, the service of your watch and every other wish of yours, like for instance a new watch strap. Our customers are always the center of our attention. Therefore, we would like to present Luisa Bradt, Stefan Kettner and Barbara Schöttle from our service team to you. From time to time, mechanical watches need service, maintenance or for instance after falling to the ground some repair. Our employees Josip Pastuovic and Barbara Schöttle proficiently take care of the respective problem − from taking your order and giving an estimate of costs to the distribution and delivery back to you. Incoming control of all items we purchase from our suppliers is essential for retaining our worldwide renowned quality. For this purpose, we need employees with an eye and a sense for premium-quality materials. Packaging and shipping at the end of the work process are as important as assembling the watches perfectly. Especially during the last steps, when attaching the strap and boxing the watch, utmost care has to be applied in order to deliver your watch safely and in perfect condition. Sandra Schuler and Sabine Ölschläger of our quality management team ensure best handling and perfect transaction. Final inspection of finished watches. Planning, developing and producing watches in-house, up to online store self-marketing, is highly challenging for employees as well as suppliers. Covering the whole range of manufactory production requires great organizational talent and efficiently functioning controlling. Regine Schauer and Viveca Hafner cope with this task perfectly and thus ensure a smooth work cycle. 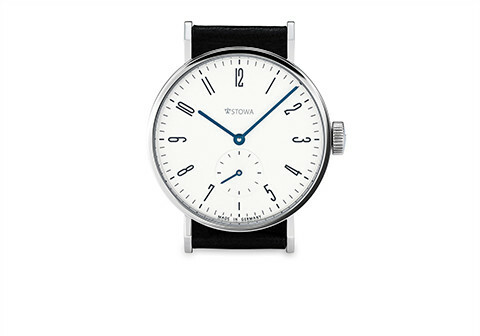 Repair & Service of Your STOWA Watch. If you should need any service or repair for your watch, please fill in a form. Right on receipt of your watch, we inform you about the arrival and our in-house watch makers will check your watch for any flaws. A few days later, you will receive an estimate of costs, including all necessary repairs. Delivery time for maintenance may take upon 4 to 8 weeks. Besides technically required operations for ensuring functionality like precise time indication and waterproofness, for us, reconditioning also means visual works on your watch. 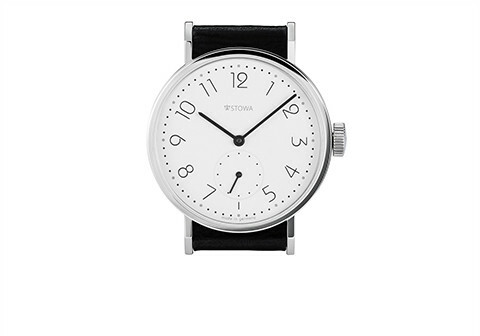 Many collectors literally love their STOWA watch, so they do not just appreciate mere functionality but also best possible visual condition. 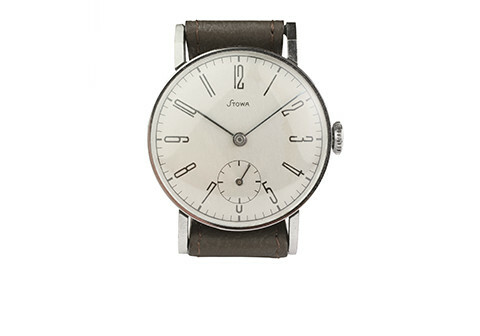 Depending on the model, the watch cases for instance may get polished or sanded, straps may be changed and the like. Brand–new case parts could get processed for almost every watch model since 1997, if reconditioning is not possible or applicable. Reconditioning up to mint condition is possible. Almost every watch case can be restored to mint condition. For STOWA, sustainability begins with choosing long-lasting premium materials. This modern watch cleaning machine for mechanical movements cleanses the small parts in several steps, using different cleaning solutions. 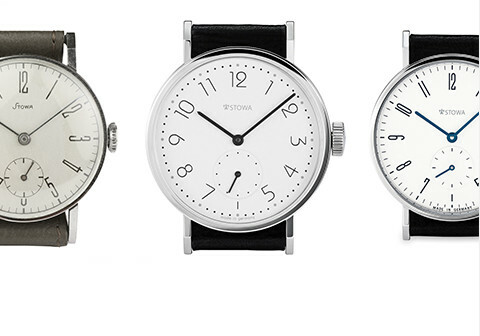 Every single STOWA watch comes with a 2–year warranty. If you should experience any flaws within that period, please contact our service team or send your watch directly to the address stated below. To ensure that you soon will be able to enjoy your STOWA watch again, we will check your watch for any defects after receiving and contact you right away concerning further steps. In addition to our telephone support, we created the section frequently asked questions. In alphabetical order, you will find all specific questions and answers. If you should have any questions, that are not listet in our FAQs yet, please do not hesitate to contact us. We will reply as soon as possible and add the answers to our FAQ section. Get an answer to your question at once. Knowledge about mechanical watches and their production is very complex and diverse. In our watch encyclopedia, we would like to present this microcosm to you step by step, using texts as well as images of our own manufactory. Exchange with watch collectors worldwide is an important part of our communication. Within our own message board, STOWA specific topics are discussed. We follow all threads and posts submitted to our board, which encourage us to constantly improve STOWA. To get in touch with us personally is fairly appreciated by our loyal community. Until now, every issue has been resolved satisfyingly, a lot of times by a personal statement of the owner Jörg Schauer himself. Please use the contact form below.. Please use the button below to find STOWA.